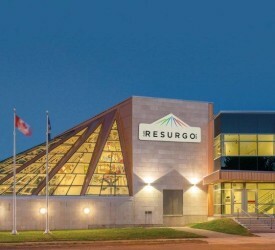 The Resurgo Place is home of the Moncton Museum and Transportation Discovery Centre and offers visitors a unique and interactive experience dedicated to history, science and transportation. Greater Moncton’s unique saga of growth and survival is graphically and vividly depicted through artifacts and photographs from the Moncton Museum’s own Heritage Collection. There are displays devoted to Moncton’s transportation history – shipbuilding, the railway and aviation have played a major role in the development of Moncton as a city. Located adjacent to Resurgo Place is The Free Meeting House, a National Historic site and one of the city’s oldest structures restored to its original 1821 style.